Addiction isn’t a choice someone makes. Most people begin abusing drugs and alcohol with no intention of becoming dependent on them. Eventually, they end up denying they even have a problem, although they may be suffering serious and negative consequences as a result of using. To overcome addiction, drug detox is one of the first things a person will have to do. If you’ve tried to quit using before and then relapsed, you probably know what detox is like. But do you know what goes into a drug detox program? While it’s an important step, it’s only the start to a life of sobriety. Ridding your body of addictive substances, also known as detoxification or drug detox, is crucial for becoming sober. However, detox is just a start. Some people try to stop using on their own. Although they might successfully stop for a period of time, many of them will relapse or resume using. It’s not that they failed—it’s just that they didn’t follow through with the rest of rehab to have a successful recovery. Once you’re clean, you’re in a better mental state for what comes next. This is when you attend counseling sessions that get to the roots of addiction. You’ll learn what led you to abuse drugs and alcohol as well as coping mechanisms that you can use for the rest of your life. You’ll find out how to maintain sobriety in the long term. Drug detox isn’t a pleasant process. The good news is that it doesn’t last very long. The first one to two days after you quit using drugs will be the worst. Withdrawal symptoms range from mild to severe, but after a week, you’ll feel better physically. You may still have cravings or psychological symptoms, but they’ll gradually fade as well. Most symptoms, although uncomfortable or painful, aren’t life-threatening. However, it’s recommended to undergo detox in a facility where you’ll have around-the-clock monitoring. It’s a much safer way to go through drug detox than trying to go it alone. There are detox centers that provide the 24/7 supervision you need while detoxing, along with a complete rehab program suited for you. Are you ready to take the next step into a sober future? Then come to Morningside Recovery, a detox and residential rehab facility in Orange County, California. One of the aspects that truly sets us apart is our pet-friendly policy. Instead of feeling the anxiety of leaving your furry companion behind while you seek treatment, you’re welcome to bring your pet with you. Having your four-legged friend beside you offers a wealth of benefits in rehab, such as making you feel more comfortable and less stressed. 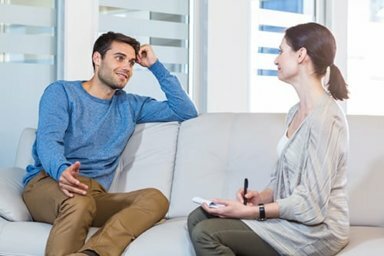 Using evidence-based therapy, our medical professionals provide a full spectrum of treatment addressing addiction and mental health issues. We also provide a host of holistic therapy options, such as yoga, art, and music therapy. Whether it’s alcohol, prescription pills, or heroin addiction treatment that you or a loved one needs, our welcoming and compassionate staff can help you. No matter what you’ve believed about yourself, you can overcome drug and alcohol addiction, with help from a qualified facility like Morningside Recovery. Let us be your partner in sobriety. Contact us today at 855-416-8202 for more information about our Orange County CA drug detox center.